Being diagnosed with cancer usually sets off a cascade of emotions, making patients feel confused, anxious, and at times even hopeless. These feelings are warranted, and all too often these feelings are compounded by the challenges of determining a plan of action to treat ones disease. Following diagnosis, patients are flooded by information and trying to make sense of the different treatment options can make even the most educated patient uncertain. The internet contains many valuable resources, but advertisements are often cloaked as educational tools, and patients should be cautious. While it is important to be educated regarding your disease, talking with your physician and asking for recommended resources is a safer way to start your education. Prostate cancer is one of the most common types of cancer in men. It starts in the prostate gland, which is a small walnut-shaped gland that is responsible for the production of seminal fluid. 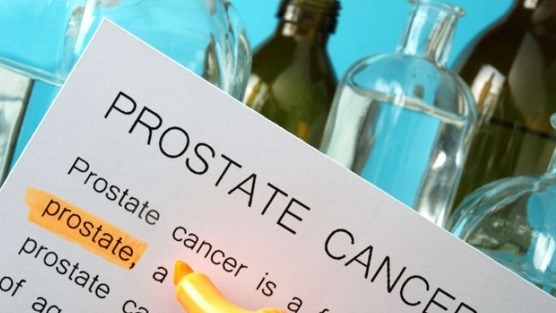 Prostate cancer is often a slow-growing disease, but in some cases and depending on certain risk factors, it can be an aggressive disease and spread rather quickly. It is estimated that in 2015 in the United States, there will be about 220,800 new cases of prostate cancer and about 27,540 deaths from prostate cancer. This means about one in seven men will be diagnosed with prostate cancer during his lifetime. Traditionally, patients had two main treatment options: surgery or radiation. Based on a patient’s goals, disease state and health, an appropriate treatment plan would be made. However, over the past decade the market place has become flooded with new technologies. Furthermore, patients are relying less on their physician to make the decision for them and are taking an active role. As newer therapies are introduced, patients are not always equipped to decipher good marketing from medical facts. Robotics is one such technology that has been quickly embraced and adapted to medical therapy. In the case of robotic prostate surgery, the robot builds on concrete oncologic principals. Early on, it was shown that removal of the cancerous tissue, in this case the prostate, results in improved survival. Robotic surgery increases the magnification and visualization of the surgical field while allowing for precise and intentional movements. As a result, in the hands of a skilled surgeon the prostate can be removed with greater attention resulting in improved functional outcomes, decreased blood loss, and a shorter recovery. Robotic radiosurgery, or Cyberknife, on the other hand is a completely different adaptation of robotic technology. First, the name radio surgery is misleading, as this is not actually surgery but rather radiation therapy. In this treatment option, a computerized robot is programmed to automatically deliver high doses of radiation to the prostate gland, delivering a highly targeted therapy. Originally, the technology was developed for dynamic tissues, like the lung which are in constant movement. However, after-studies have showed that the prostate is susceptible to subtle movement as gas moves through a man’s bowels. While radiation therapy has been employed by oncologists for decades, the Cyberknife utilizes a dramatically different dosing regimen called hypofractionation. Traditionally, external radiation is given over approximately 40 treatments. With hypofractionation, patients receive less than half the traditional radiation dose in a significantly shorter period of time. The belief is that as the individual doses are higher, less total radiation is required to have the same oncologic effect. The pros of Cyberknife include no hospitalization, low levels of toxicity produced, and less pain compared to other procedures. The cons of Cyberknife include fatigue, erectile dysfunction, no doctor or surgeon controlling the device, a lack of high-definition internal visuals to accurately diagnose and treat prostate cancer, and difficulty in accurately staging the cancer. It also requires multiple trips to the hospital for treatments, and it is a fairly new technology which means there is limited clinical history to determine the true long-term effectiveness. Dr. David Samadi is a board-certified urologic oncologist trained in open and traditional and laparoscopic surgery, and an expert in robotic prostate surgery. He is chairman of urology, chief of robotic surgery at Lenox Hill Hospital. He is a medical correspondent for the Fox News Channel’s Medical A-Team and the chief medical correspondent for am970 in New York City, where he is heard Sundays at 10 a.m. Learn more at roboticoncology.com and SamadiMD.com. Follow Dr.Samadi on Twitter and Facebook.